These location-based services provide convenience to users to find out government related information on map. Explore even more information on the map with ease and assurance. All maps and features are free to use. No in-app purchases or licensing fees. Search for addresses, postal codes, building names, roads and everything. Select from a variety of base maps. Locate nearby amenities and government information. Get driving, cycling and public transport directions with walking. Base maps with detailed building outlines are updated frequently. User experience has been enhanced by taking in various feedback to reflect usage habits of our users. Usability studies were conducted to improve service flow and information display. Developed with HTML 5 to optimise viewing of web portal on mobile web browsers. 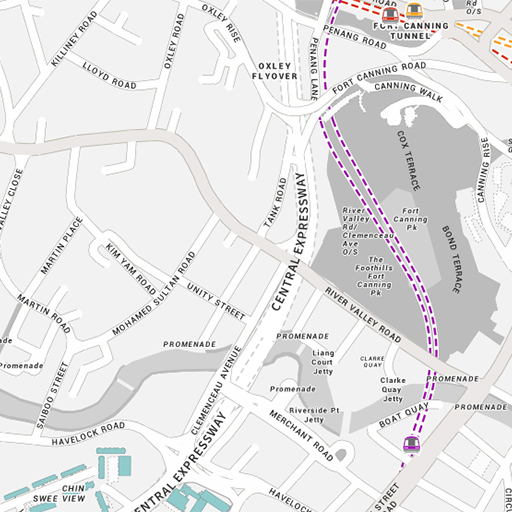 Redesigned cartography to reduce clutteredness on map while retaining detailed information. Focus on mobile features to provide convenience for users on-the-go. A variety of base maps were designed and created with different colour schemes to suit any purposes. Tap on OneMap’s extensive set of APIs and let your innovative juices flow. Mash up your own data, search for addresses and do much more with our base maps! Experience the New OneMap mobile app now! 1. What is New OneMap? 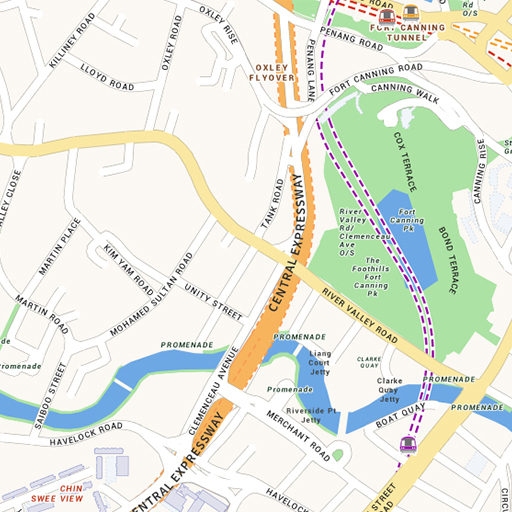 The New OneMap is the latest application developed by the Singapore Land Authority which provides the most detailed, authoritative and timely updated map of Singapore, with various useful day-to-day information and services contributed by government agencies. 2. How can I access New OneMap? 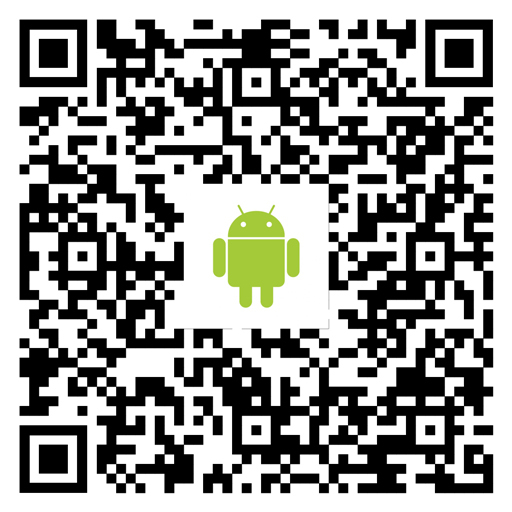 You can access New OneMap via the web portal or download the mobile app available on both Google Play and iOS app store. 3. What are the information available in New OneMap? For the new version, map services such as LandQuery, SchoolQuery, Bus Explorer and TrafficQuery. More services will be added in New OneMap in the months to come. Other new features include Map Styles and Find Nearby, where you can find amenities and government information around your location. 4. How different is New OneMap from the current OneMap? New OneMap is the improved version of the current OneMap. 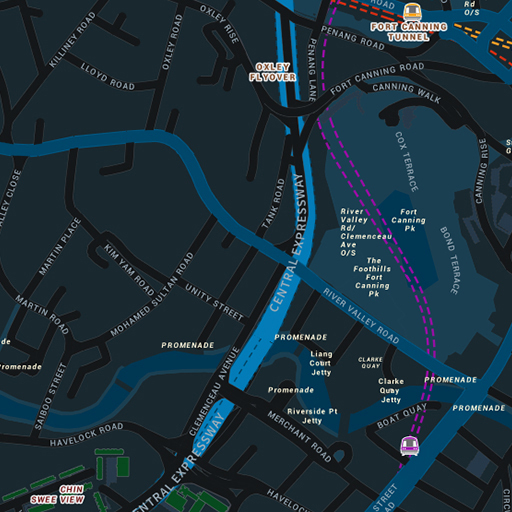 Users can expect faster performance, cleaner and neater base maps and more mobile centric features such as Find Nearby. 5. Will the current OneMap still be accessible? Yes, the current OneMap will still be accessible until September 2017. 6. Can I expect to find all services available in current OneMap on New OneMap? We are in the midst of migrating services and features of current OneMap to the New OneMap. Users can expect most of these services and features available in New OneMap by the end of September 2017. 7. Can I access New OneMap without having to download the mobile app? Yes, you can access New OneMap through your mobile web browser as the web portal is mobile responsive. 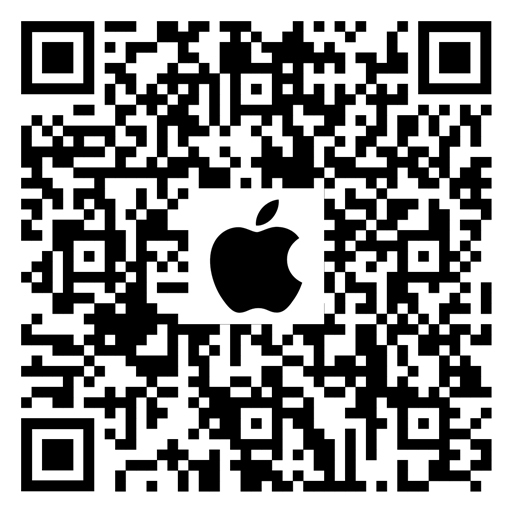 However, for optimal user experience, we strongly encourage you to download the mobile app. 8. Where can I find assistance if I need help in using New OneMap? 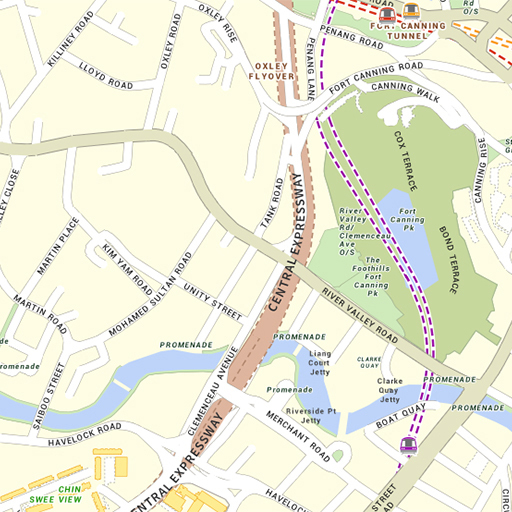 You can send us an email at sla_enquiry@sla.gov.sg if you have any questions about New OneMap. 1. What is the updatedness of information on New OneMap? Base maps in New OneMap are updated on a weekly/fortnightly basis while thematic information within the Nearby Catalogue are updated on a daily basis. 2. What is the distance of search for information in Find Nearby? The distance of search for information is 2km. If no thematic information is found within 2km of the specified location, the system would prompt to display all locations of the thematic information. 3. How many thematic information are there within the Nearby Catalogue? There are over 100 thematic information contributed by various government agencies for users to search and locate. 4. How updated are the information in TrafficQuery? The information are TrafficQuery is provided by Land Transport Authority and are refreshed every 5 minutes. 5. There is no Bus Explorer service on mobile. How can I know the bus arrival time without the service? You can tap on any bus stop icons on the map to show all bus services which call at the bus stop and select any of the available bus services to find out the arrival time or full bus route. Similarly, for the web portal, you can click on any bus stop icons to find out these information. 6. Is it expected that maps are missing from the dropdown list when I try to view them with the hybrid map function? When the Land Lot map is selected, map plans such as URA Master Plans, Planning Boundaries and PA CDC Boundary 2015 is disabled. 1. What is the New OneMap API? The New OneMap API provides a simple mechanism to allow you to link location information or embed a map on your website. 2. What can I do with the New OneMap API? You can create exciting web applications to enhance your websites with location maps with just a few lines of code. The New OneMap API enables you to mashup your own data or data available in the OneMap database on the base map. Please refer to the New OneMap API documentation page here on how what are the available APIs and how to access them. 3. My application is still using the current OneMap API. When do I have to switch to the New OneMap API? Current OneMap APIs will be terminated on 1 August 2017. We have sent out emailers to registrants of current OneMap APIs to switch to the new version. 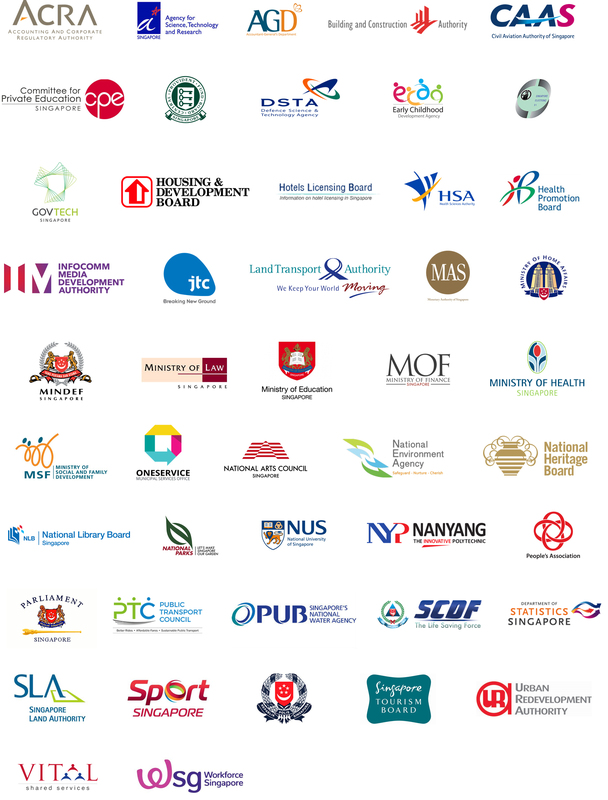 If you are still facing difficulties switching to the New OneMap APIs, please get in touch with us at onemap@sla.gov.sg.